Home » Religion » Who was Mary Magdalene ? Possibly one of the most maligned and misunderstood characters in the Bible. Mary Magdalane has been variously described as a prostitute, an adulteress , an Apostle and even the wife of Jesus. But who was she really and how have such diverse opinions about her come about plus, given the age of some of these rumours, how have they survived ? They asked her, “Woman, why are you crying? ⇒ She was there with him on his final journey to Jerusalem, when he entered the city in triumph and mass-hysteria broke out amongst the crowds as they greeted Him waving palm branches, casting their clothes before him and calling out “hosanna” [an exclamation used to express adoration, praise or joy]. ⇒ She was there when, abandoned by his disciples, the Romans nailed Jesus to the cross. ⇒ She was there when they carried his body to his borrowed tomb and watched as the stone was rolled into place. ⇒ She was there at the tomb to tend to the body of Jesus on the 3rd day, the first to find that it was empty and the first to see the resurrected Jesus. Given that she was very much part of ‘The Way’, a term used to describe the early Christian Church, why has her status been so ambiguous ? Mary Magdalene with a bottle of perfume, perpetuating the myth about her. The answer is quite simple : a 1,500 year old papal mistake. In AD 591 Pope Gregory the Great delivered a Homily, (a commentary that follows a reading of scripture), that he arbitrarily declared that Mary Magdalene was the unnamed sinner woman in Luke’s Gospel who in an act of contrition had wept at Jesus’ feet and poured expensive perfume on them. Pope Gregory further concluded that she must have been a prostitute. What Gregory had done is arbitrarily blend the story of Mary of Bethany (in John 12:3-8) with the story of “an [unamed] woman in the city, who was a sinner” (in Luke 7:37-39), and the story of “Mary, called Magdalene, from whom seven demons had gone out” (Luke 8:2). From this he guessed that Mary Magdalene was a prostitute. It was not a fair verdict. Pope Gregory’s error was then perpetuated by the simple fact that the reading for the Latin mass on the feast day of Mary, 22nd July, was chapter 7 of the Gospel of Luke where an unnamed woman enters a house where Jesus is a dinner guest and abases herself to him, washing his feet with her tears and wiping them dry with her hair. “And he said unto her, Thy sins are forgiven”. It was only in 1969, during the papacy of Paul VI, that the Vatican made some discreet alterations to the Latin mass. The reading from Luke 7 where ‘Jesus is Anointed by a Sinful Woman’ was quietly dropped and replaced by a very different reading, this time from chapter 20 of the Gospel of John in which Jesus reveals himself first to Mary Magdalene at the resurrection. Without making any public apology, the Vatican appeared to be saying that it had got it wrong about Mary Magdalene for 1,400 years. Given the underwhelming ‘retraction’ it’s not surprising that not many people have paid attention to the Vatican’s correction. Even today, whether in the musical Jesus Christ Superstar (1971), in Martin Scorsese’s 1988 film The Last Temptation of Christ or Mel Gibson’s 2004 Passion of the Christ, Mary Magdalene is still being portrayed as a prostitute or an adulteress. In the end the simple answer is that creating and attaching a more salacious story to Mary is more interesting to the wider public than the truth. 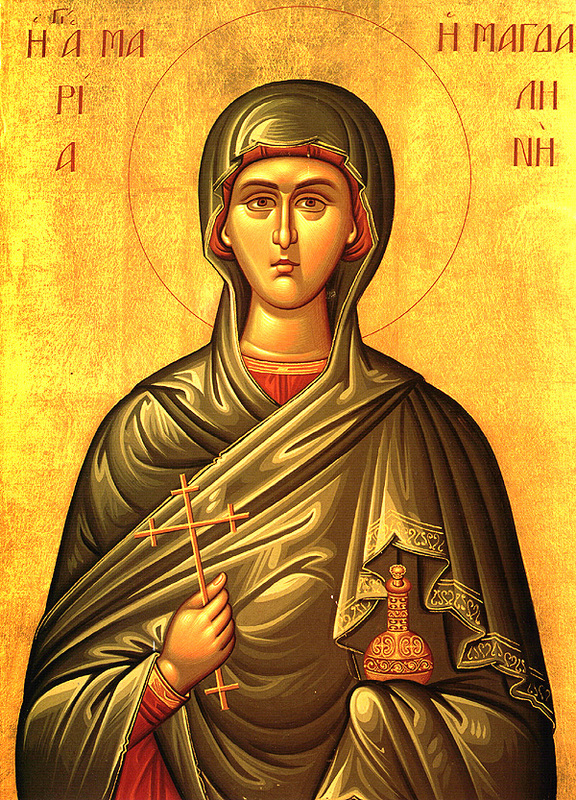 Sinner or not, she is the woman who witnessed the resurrection; the event that stands at the centre of the religion that has shaped the history and culture of the greater part of the world for the past 2,000 years.